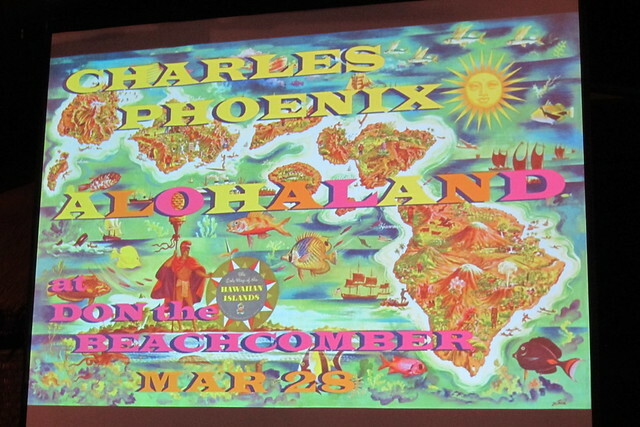 Who needs a DeLorean when you have the ever-entertaining Charles Phoenix to take you on a time-traveling adventure? 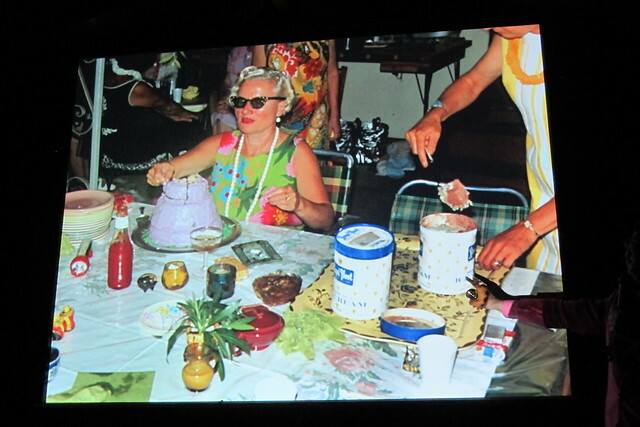 At the Alohaland event at Don the Beachcomber in March, the “Ambassador of Americana” transported us decades back with a slideshow composed of vintage slides taken by tourists on Hawaiian vacations in the 1950s and ‘60s. We all lined up for our wristband and drink ticket then headed in to the Hidden Village section of the restaurant. 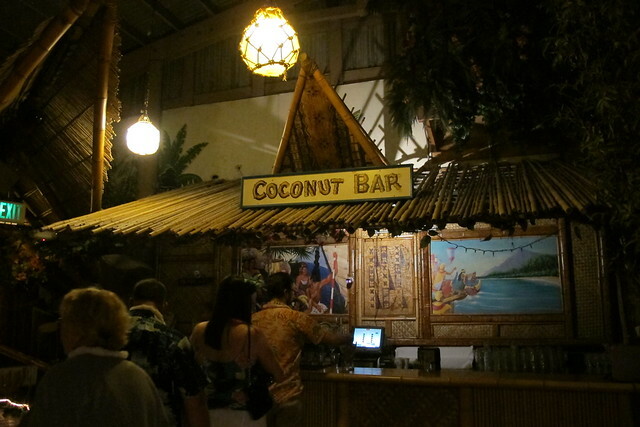 After securing our seats for the slideshow, we collected our complimentary Mai Tai from the Coconut Bar. (If you were still thirsty you could order additional drinks for $9 each.) The Smokin’ Menehunes and Polynesian Paradise hula dancers entertained the crowd until Charles Phoenix took the stage at 8 p.m. 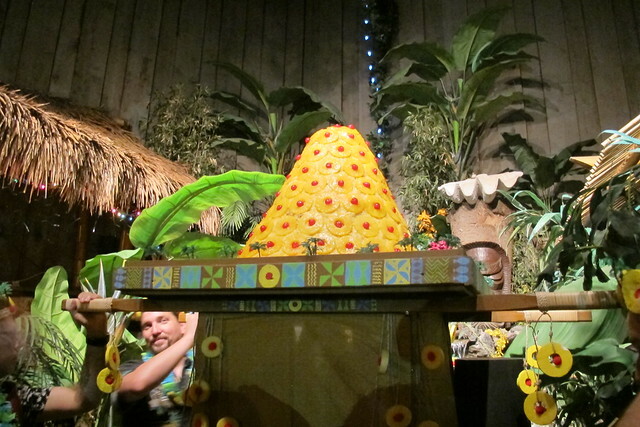 He took us on a hilarious romp filled with fabulous mid-century architecture, hideously amazing hotel décor, cabs turned into thatched tiki hut shacks and buttoned-up visitors donning leis and grass skirts. Behold, the P.U.D.Cano! 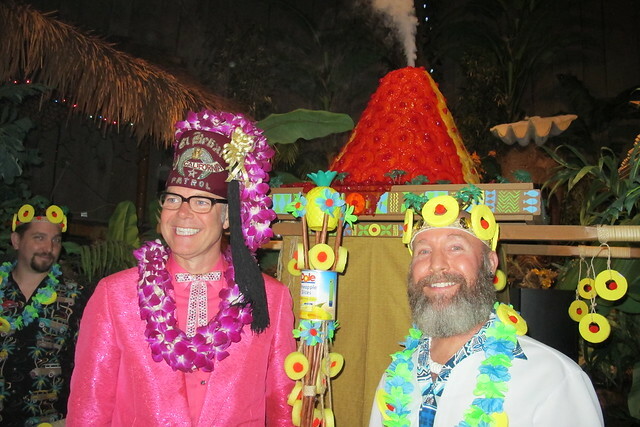 (aka Pineapple Upside Down Cake Volcano) Charles Phoenix is famous for his over-the-top Test Kitchen creations, like the Cherpumple and Tiki Turkey Meatloaf (recently immortalized in mug form by MP Ceramics.) Frosty the Cheeseball Man tends to make appearances at our holiday gatherings. 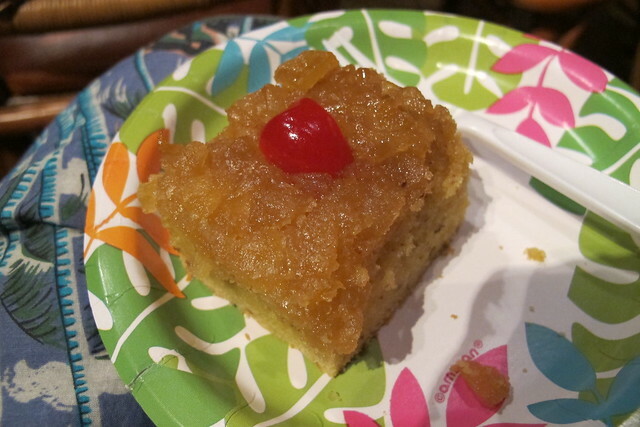 Slices of warm, delicious pineapple upside down cake were served as a sweet finale to the evening. (We didn’t actually consume any of the volcano — it’s a showpiece.) 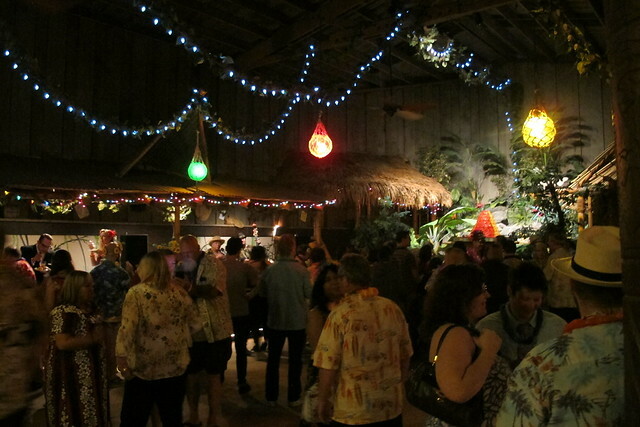 We had such a fun time at this event and met some wonderful fellow tiki fans too. 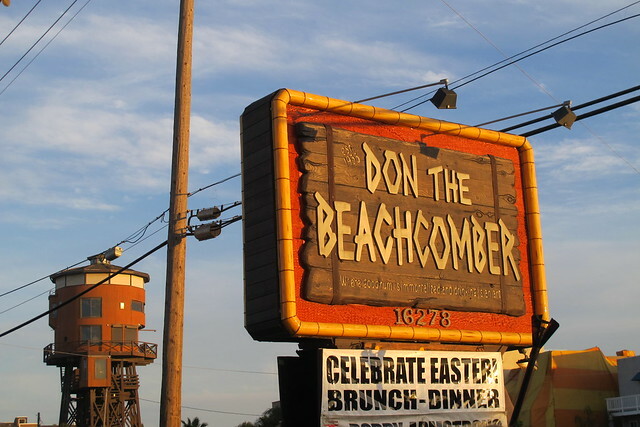 Alohaland will return to Don the Beachcomber on June 27, 2015, at 7 p.m. and tickets ($49) are available at www.brownpapertickets.com. The first two events both sold out so don’t miss out!